Bubbelicious feminized seeds, they honor their name because the taste is sweet and delicious like bubblegum. The Bubblelicious feminized seeds, as the name suggests has a sweet taste as that of bubblegum. The best varieties of this strain are offered by the well-known High Supplies organization. The strain has the genetics of F1 Lavender. It is a short plant and has all typical indica properties. The strain looks fluffy with large, sticky buds, rich in THC content. Bubblelicious is famous due to its extremely high yield that are concentrated more round the head branches. These are 100% feminized seeds and originated in the United States and the Mid-west. Now the product is widely used across the world. The strains are vigorous by nature and blooms within 8 weeks. The highly concentrated resin of the buds gives a sweet taste. Some of these plant varieties also give out the flavour of pink bubble gum. The colder months are an ideal time to harvest this plant. They might as well have named her "globetrotter" because this kind has traveled all over the world starting in the USA, after that in the surroundings of New England and eventually the Netherlandscould enjoy her too. Her genetics come from the original Bubble Gum and through time it has been developed for the better in taste and effect just by adding the F1 Lavender genetics. She is a short growing plant because of her typical Indica properties which also means that the effect takes you into a stoned state which lingers on smoothly. While developing the fluffy looking THC filled buds she'll start to smell quite sweet, you'll also notice this sweet taste when consuming her. Bubblelicious is popular because of its ridicule big yield that concentrates more around the head branches. These 100% feminized Bubblelicious seeds were first developed in Midwest and United States and later they were brought to Netherlands during 1990s where they got further refined. It shows how much these seeds have traveled around the world; some of them also called it “globetrotter”. These are some vigorous plants that take around 8 weeks to flower. The extra resinous buds of these plants give you extra sweet flavor. Some of these plants also give distinct pink bubblegum flavor and scent. They promise outstanding yield and are also good for medicinal purposes. The best time to grow these exotic plants is during colder months. Over a period of time, these strains have been developed for improved effect and taste and the breeders achieved this by adding in some F1 Lavender genetics. It is a plant that grows short as it is a typical Indica-dominant strain, which also implies that the effect is a full body buzz that lingers around for sometime in a very smooth way. During the growth phases, its buds contain high THC levels and are fluffy in structure; they start smelling very sweet, and you can feel the sweetness while consuming it. Commercial and underground growers like these strains immensely because of its ridiculously high yield that concentrates around all the head branches. Bubblelicious seeds at High-Supplies are of the highest qualities and growers around the world have trusted the high quality products that we have offered to our customer over the years. 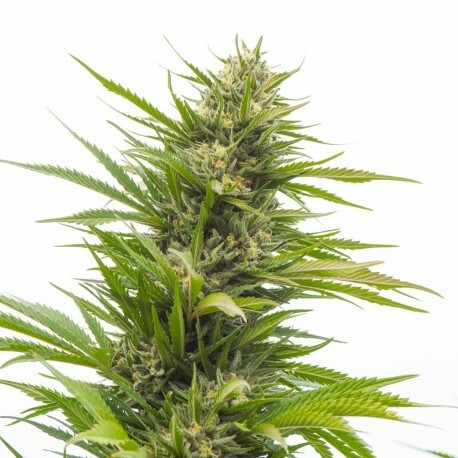 Consumers can preferably purchase the Bubblelicious feminized seed products offered by the reputed High Supplies company. They are highly reliable regarding the quality and deliveries. High Supplies Company is always a better choice for this product since they offer the seeds grown on the strains cultivated in the right manner. Thus, these strains produce high yielding and best quality buds. This seed product offered by the High Supplies is better than any other online or off line cannabis seed supplier in the industry. They have the longest experience in this business field offering purest cannabis products. The Bubblelicious seeds are offered by this supplier at a low rate of 30 Euros. The smoke gives a body buzz, which has good lingering effect on the smokers. They also gain more energy after consuming this cannabis product. The strain also has good medicinal value due to high THC content.